Baseball prognasticators are predicting pain for the 2019 edition of the Toronto Blue Jays. What remains unclear is whether the team's off-season teardown might result in a short-term malaise or an extended run of mediocrity. 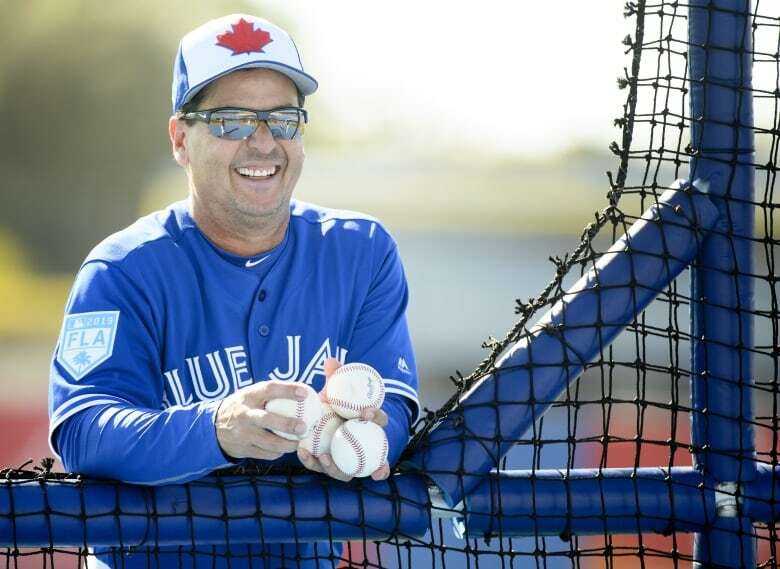 Canada's lone Major League Baseball team said goodbye to a number of veteran players in recent months and is prioritizing the development of a young core that it hopes will grow to a point where the Blue Jays become a consistent contender. It's expected to take at least a year and most likely two or three before that might happen. 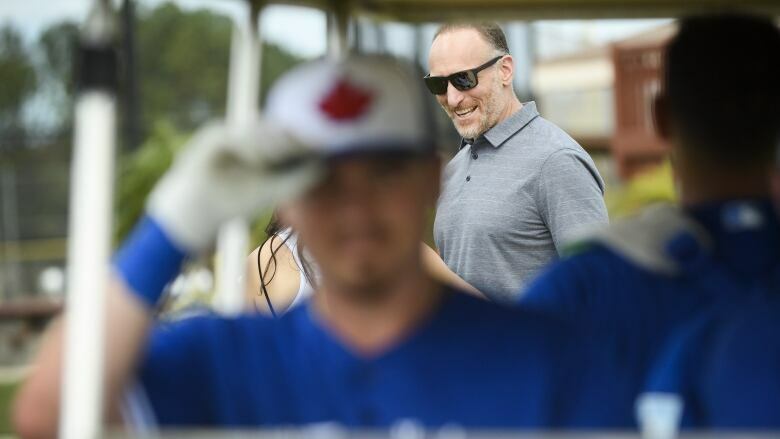 Team president Mark Shapiro has no plans to declare which season he hopes the corner is turned. "I've got a range of timelines in my head because you just don't know in this game," he said Tuesday. "The beauty of the game is it's being played by human beings and there's just no certainty as to how fast, there's no limit to how quickly it can happen. But there's also no certainty to how fast it will happen. That's why it's important to not stake it on one or two or three players. You've got to have a lot of players and a lot of players coming. "That's why you can't set specific timelines. If you do, you paint yourself into a corner." After two disappointing seasons, the Blue Jays really began tearing things down in the off-season when Troy Tulowitzki was released and Russell Martin was traded. The spotlight will eventually shine on top prospect Vladimir Guerrero Jr. — who's currently nursing a strained oblique — along with young talent like Bo Bichette, Danny Jansen and Lourdes Gurriel Jr.
Shapiro noted that it often takes two or three years in the big leagues to really determine what kind of a performer a player might be. Veteran players can help provide some flexibility so that timeframes don't have to be forced. In the meantime, new manager Charlie Montoyo will try to improve on the team's 73-89 record last season. "We are committing to competing and part of that is just the expectations and the standards that we set for this team and this environment moving forward," Shapiro said on a conference call from Dunedin, Fla. "Charlie has been absolutely clear on that. The expectation is we go out and compete with no limitations in our own mind to the expectations for this team. "We're aware and we're not naive to the division. We're not naive to what the expectations objectively are for this team." A few outlets are predicting a slight uptick on Toronto's win total, with FanGraphs going with a 76-win campaign. CBS Sportsline predicted 67 wins for the 2019 squad while Bleacher Report went with 68. Shapiro weighed in on a variety of subjects over the 45-minute conference call. "Frankly we have payroll left to spend now. We haven't spent all of our payroll to date this year. It's just a question of where and when do those opportunities present themselves and if we do bring in veteran players, how does that offset again our ability to continue to foster and develop younger core talent on the team." "If we're spending energy or time [analyzing] one player's tweets, then we're wasting time that we could be spending trying to build a championship organization and team." "It started with developing their own core of players first. So I think we are doing the same thing, they're just two or three years ahead of us." The Blue Jays will close out the pre-season March 26 against the Milwaukee Brewers at Montreal's Olympic Stadium. Toronto will kick off the regular season March 28 at home against Detroit. PLAYER STATS: Vladimir Guerrero Jr.